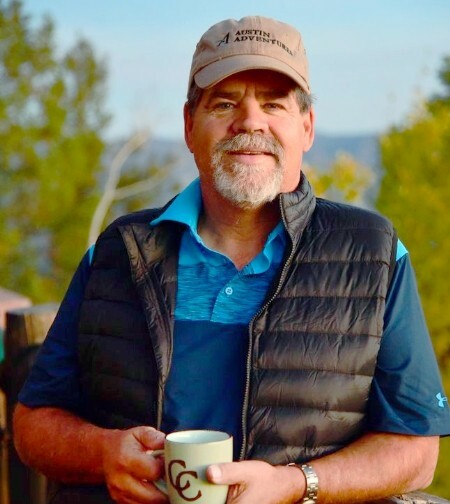 Born and bred in California, Dan ignited his passion for adventure travel in 1976 as partner of a rafting company in the Pacific Northwest. His travels soon took him to Alaska, where he owned and operated a mid-size construction company. Here he gained valuable experience working out difficult logistics and long-distance problem solving. His company completed projects from the most remote Alaskan village to the military bases of Hawaii and The Azores. Looking for a new challenge and having experienced small group adventure travel as a guest, Dan and a partnership group bought Backcountry Tours of Bozeman, Montana in 1994. Established a decade earlier, Backcountry Tours was a well recognized purveyor of small group, multisport tours throughout the western United States. As the full time Director, Dan was responsible for a 50% increase in bookings the first season and for “systemizing” and establishing solid policies and procedures that would propel Backcountry to become an industry pacesetter in product quality and client service. In the fall of 1997 Dan sold his interest in Backcountry and set off on yet another adventure. He created Adventures Plus and was determined to deliver an even higher level of service, luxury and experience to his guests. Starting out from the basement of his home with a handful of programs, Adventures Plus quickly doubled in both clients and programs three years going. Passionate about active travel and over-the-top customer service, Adventures Plus allowed Dan the opportunity to marry the two while living out his dream. In 2000, Dan met Paul Lehman, entrepreneur, adventurer, and financier and with his backing, a new company was created. The circle became complete when Adventures Plus changed its name to Austin-Lehman Adventures and at the same time acquired Backcountry Tours. Austin-Lehman Adventures was born. Dan lives in Billings, Montana with his wife Carol and two very active young adults, Kasey and Andy. When not in the office the Austins are all out doing what you would expect, traveling the world, biking, hiking, fishing, climbing and exploring new destinations.